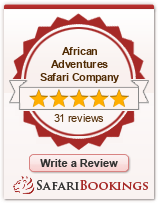 Welcome to the brand new African Adventures Safari Company website. I have worked closely with the web designers to try and create a website that is not only easy to navigate but tries to empahsise what makes my safari business different. As you will see the emphasis on this site is people in general and not purely the wildlife of Africa. I wanted to create a site that shows what you can achieve on safari apart from what you can see and to highlight the fact that I do not run ‘stock standard’ safaris but unique adventures. As I like to tell people my safaris are the nearest thing to independent travel you will get as they are designed ‘around’ my clients and for genuinely small groups. Looks good, makes you want to go on a safari. I can highly recommend John and his ability to ‘tailor’ your adventure to what you are busting to see. I gathered a group of 9 from West Oz & Kiwiland in 2014 and JOhn took us on an adventure of a lifetime….he applies all his knowledge & experience for the benefit of YOU…..and will do his utmost to ensure your trip is ‘trouble free’…..give him a go…..I’m going back for more ASAP!